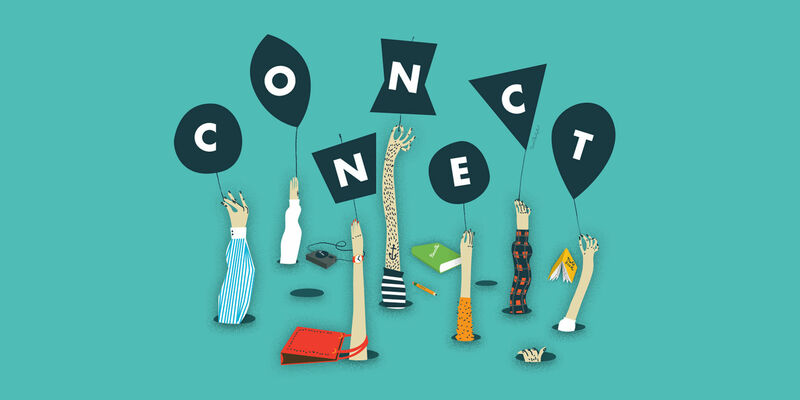 This September, we’re excited to announce our theme of “Connect” brought to you by Mailchimp. The theme was chosen by our Vancouver organizer Mark Busse and skilled Vancouver-based illustrator Tom Froese made our monthly illustration. This month’s speaker list promise to cover a wide breadth of topics, ranging from Monika Frech, co-founder of Dark Horse who will be speaking on capitalistic communism (Berlin), Matthew Clark of Subplot Design on Synapses and Synecdoches (Vancouver), to Ayah Bdeir, founder of littleBits, a system of electronic modules that snap together for prototyping and play (New York). Roberto Bolullo ¿Cómo registrarte en el nuevo sitio? What is the purpose of your organisation? The corporate world immediately answers, “It is to make money!” No, no, no, no, no! To make money might be an instrument to pursue a purpose, but what is the purpose? You have an innate ability to connect. The worst punishment, besides death, is solitary confinement. I believe in connecting. We all do it. We all need it. And, we don't get enough of it. With face to face presentations and interactions, especially when there's the opportunity to interact and ask questions, real stories are uncovered. As creatives, we like to see ourselves quite removed from the corporate world of hierarchies and managerial positions and contracts. Why do creatives dislike the term 'networking' so much? I didn't have a lack of clients, I had a lack of colleagues. I bought as many books as I could. What are people and why would we want to connect with them? We're all swimming in the same tepid bowl of warm soup. 'It should've been done' doesn't mean that it has been done. Cada vez más, surgen plataformas que permiten eliminar intermediarios que no aportan ningún valor a los negocios. I dream of a technology that would respect the user's context. How are we going to find solutions to be connected without creating monsters, dependance monsters. La gente hoy en día pide participar, pero una participación real. It's not about a brand that 'won' as social media. It's about a business that enabled a group of people—with a creative aptitude and an understanding of the zeitgeist and what was happening at that particular point in time—to act very quickly. All that brands have left as a differentiator is credibility. If we start boxing ourselves into a style, then we're not exploring. What we can create is limitless. We put a man on the moon. O teatro é um processo de transformação pessoal. / The theatre is a process of personal transformation. In the future, there will be no technology to 'learn' essentially. I have one rule: Don't try to write a great letter. One of the most outstanding characteristics of poets is that they are passionately in love with language—and that's what I am. Before I knew it, I was writing fifty people and I had written five hundred letters. Leverage the technology to build authentic connections. We are not slaves to the technology. The technology is beholden to the ways in which we employ it. How can we design systems that drive us into more productive relationships? Connections in the world that we live in shouldn't be empty. Every connection is an opportunity to build something interesting, to do something profound. Connect is not about building networks. We build networks so we can connect. Let's all bet on the dark horses a little bit more often. The world we want to live in does not yet exist. It's a niche, and it's good to have a niche [...] and try to expand slowly. It's about selling products but it's also about educating and learning and having fun. We wanted to collaborate with the people who are in our lives. My brain doesn't quite work right.